Aww! Lam-Lam and Khloe will not be spending thanksgiving together this year. 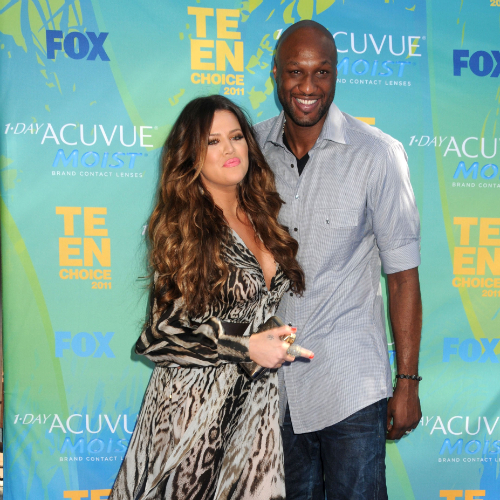 As we all know, Khloe Kardashian has been branching out of her sisters’ shell as she landed the job as X Factor’s co-host, while Lamar Odom continues to impress the Los Angeles Clippers after signing a deal earlier this year following the news he was soon to be dropped from the Dallas Mavericks for a disappointing season. Anyway, the good news is that they are both working and getting money, the bad news is that they will not see each other on thanksgiving as their work schedules will be getting in the way. While Khloe will be hosting the X Factor live shows this week, Lamar will be in New York with his team, preparing for his next game which means he will also not be able to support Khloe on the talent show. How sad — and no, we’re not being sarcastic. It’s pretty sad. Anyway, Khloe seems to be handling it very well, telling People mag that she’s fine with the situation because at the end of the day, they have jobs to do and besides, her mom, Kris Jenner and sister Kim Kardashian will come out to watch her host this week so it’s all good.